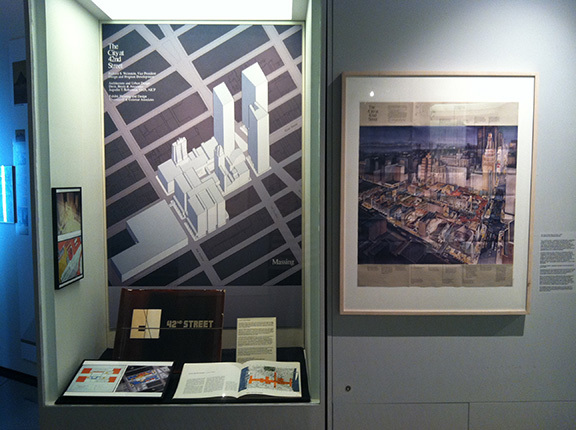 The series of cases in this section of the exhibition trace the history of urban renewal plans, both private and public in the decades before 1984. 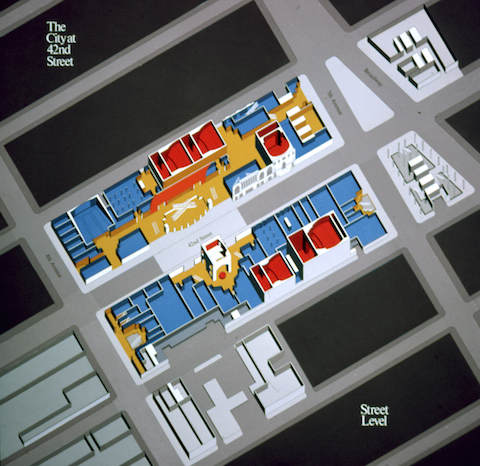 The 1960s was a time of master plans and large-scale projects such as the World Trade Center. Many ambitious plans were also offered by organizations without the power to implement them. 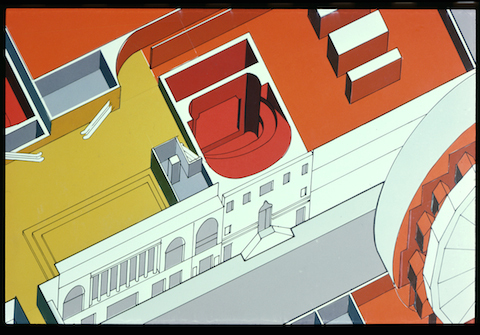 City at 42nd Street Massing Axonometric, 1978. Courtesy of Cooper Robertson. 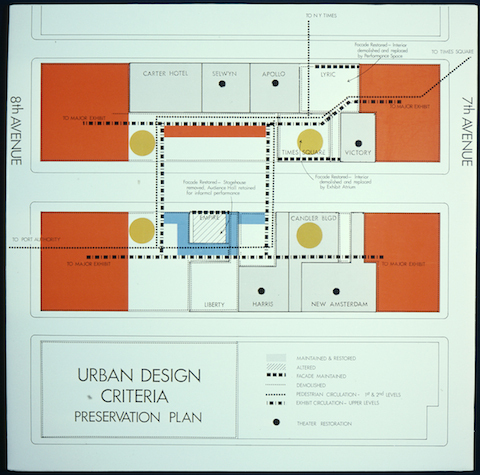 Typical of 1960s thinking was the handsome graphic document Urban Design Manhattan, a plan published in 1969 by the Regional Plan Association (RPA). Shown here in a centerfold is a case study of 42nd Street, river to river, with an elaborate plan to link high- density areas by efficient multi-layered horizontal and vertical movement system. Times Square was re-envisioned as a pedestrian plaza closed to vehicular traffic. "The City at 42nd Street" Courtesy of Cooper, Robertson & Partners. 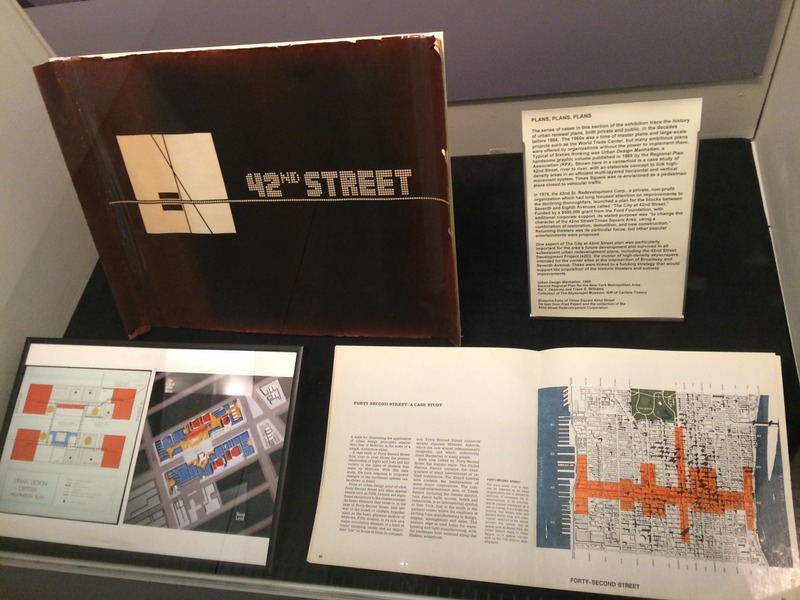 In 1979, the 42nd St. Redevelopment Corp., a private, non-profit organization which had long focused attention on improvements to the declining thoroughfare, launched a plan for the blocks between Seventh and Eighth Avenues called The City at 42nd Street. Funded by a $500,000 grant from the Ford Foundation, with additional corporate support, its stated purpose was to change the character of the 42nd Street/Times Square Area, using a combination of restoration, demolition, and new construction. Returning theaters was its particular focus, but other popular entertainments were proposed. LEFT: City at 42nd Street Aerial Drawing. Courtesy of Cooper Robertson. RIGHT: City at 42nd Street 3rd level axonometric. Courtesy of Cooper Robertson. 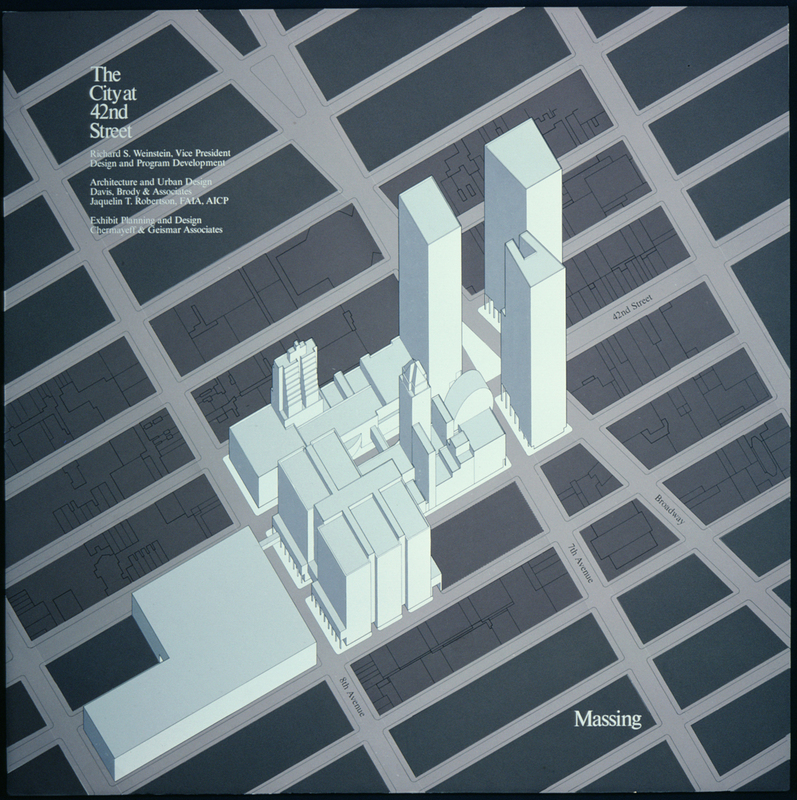 "The City at 42nd Street" Massing Study. Courtesy of Cooper Robertson. For design credits click image. One aspect of The City at 42nd Street plan was particularly important for the areas future development and survived in all subsequent urban redevelopment plans, including the 42nd Street Development Project (42D): the cluster of high-density skyscrapers intended for the corner sites at the intersection of Broadway and Seventh Avenue. These were linked to a funding strategy that would support the acquisition of the historic theaters and subway improvements.